What a “secure border” looked like between East and West Germany. In the immigration debate, it might help if we all started being clear about what we are talking about, and about what can and can’t be done. When the Associated Press reported a few days ago that 50 children from the crisis zone on the southern border had been transported to Oregon, Gov. John Kitzhaber said the state welcomed the children and the border surge was a reminder of Congress’ failure to enact immigration reform. Reform? We have a whole set of immigration laws, and they are widely ignored. Exactly how would a revised set of laws be better observed? And how would law changes affect the forces that cause people from Central America, including tens of thousands of children, to endure all kinds of hardships to make it to the U.S.? “Immigration reform” is a meaningless term without details of exactly how the laws would be changed. And no matter how they are changed, they are not going to improve conditions in parts of Latin America, or do away with the other factors that cause people to come north. 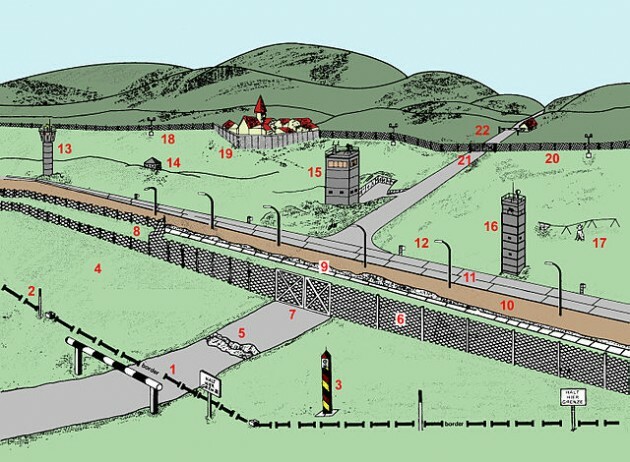 Another favorite catch phrase is “secure the border.” I saw a secure border a few times when I was a boy: It was the German sector of the Iron Curtain, a wide system of no man’s land with watch towers, barbed wire, death strips of plowed and cultivated earth to show footprints, and maybe tripwires and mines. Now and then there were press reports of some desperate person being shot dead trying to cross in order to escape to the West. So, to claim that a “secure border” would prevent unauthorized arrivals from the south is nonsense unless we mean to set up sniper posts and shoot people on sight as they climb up our side of the Rio Grande. Instead of harping about “immigration reform” and “securing” the border, we ought to ask ourselves what makes poor people want to come to the United States. If they are unhappy in Honduras or Guatemala or Nicaragua, instead of heading north, why don’t they make the shorter trip to Panama, Columbia or Venezuela? I don’t know the answer, but I suspect it has something to do with our social safety net, our education benefits available to all children, and respect for individual rights generally. I agree with most all you said. But I doubt that the “social safety net” is a driver to any significant extent. Especially for people and children who have never experienced what a social safety net is. America is a vision of a better life. It’s also a very successful reality of a better life. Since this county has always treated the vision of the greatness of America in the same way that they treat their belief in god, why wouldn’t people want to come here? Contrary to Mr. Woods’ comment, I suspect the “social safety net” is in fact a significant driver. Word of mouth gets about that there are many resources to be had for individuals arriving in the U.S., particularly for children. Whether this is good or not I leave to the decision of the taxpayers supporting such resources. I’ll agree with you on one point regarding the current catch phrases for immigration. They are meaningless, “elect me” rhetoric for candidates. I can sympathize with your experience regarding East Germany and the Iron Curtain. My fathers line were German immigrants in the mid-1800’s & missed all that. The Iron Curtain I believe was more to keep a man-power & brain drain from happening in the east. Not necessarily to prevent people from coming in to enjoy the communist utopia. Our America has now become Mexico’s & Central America’s welfare state & dumping ground for their castoff peoples! To not remove illegals is to spit in my face for working 1 1/2 years to legally clarify my citizenship, To cheapen your immigration & my mothers naturalization in ’56. To make pointless my fathers family’s effort to obey the law & endure Ellis Island in the mid-1800’s. You want OUR better life YOU obey the law! I’m for deporting all illegals who will not take the effort to legitimize their staying in our U.S. of A.
I’m for a strongly enforced border. Those people need to stay & correct the problems in their respective countries. Until we get an elected politician to enforce immigration laws we are complacent fools.